It has always been my dream to see this beautiful, empowering Rite of Passage offered to more than simply Nyack College students. On October 6th, my dream came true! 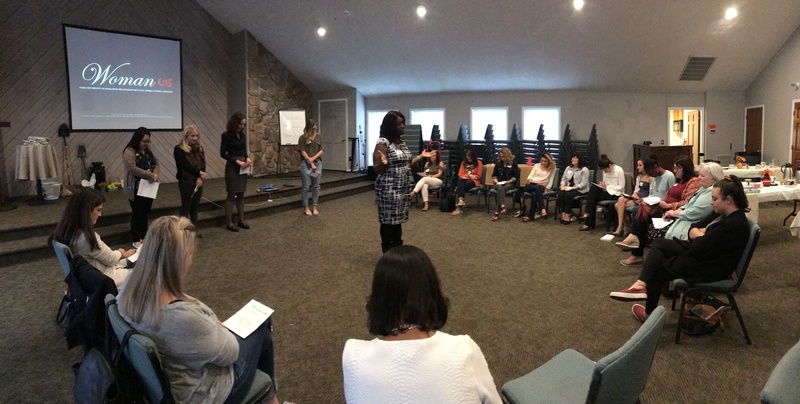 Three members of my leadership team and I headed down to Fellowship Alliance Chapel in Medford, NJ, where we trained an amazing group of women in the philosophy behind Woman and in the details of the process. These women are already leaders. They will go through the yearlong process together and mentor each other. Their monthly meetings are scheduled, and their Crossing Over will be mid-April! 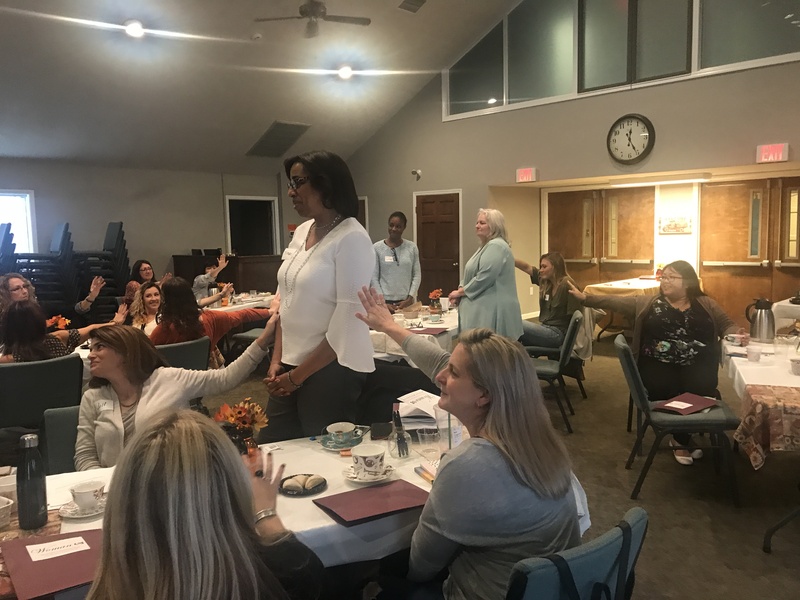 For the first half of the training, we sought to understand the philosophy that undergirds the program itself, theologically, ritually, and practically. I even read some excerpts of the Book of Womanhood that they received as an initiation gift! Because the way Woman is accomplished in the church will not be exactly the way we do it on a college campus, it is key to understand the philosophy to faithfully accomplish the program! The second half of the training involved perusing the curriculum (the Woman Workbook and the Leaders’ Guide). We talked through the meeting format. We even acted out several elements of the meeting, including an empowerment of feminine characteristics that we’ve devalued. In the photo to the right, we’re blessing the women in those characteristics. And finally, we did an Initiation Ceremony for the group. Not only did the leadership team guide this Ceremony, but we also had two Woman alumnae who are already part of this church to help! 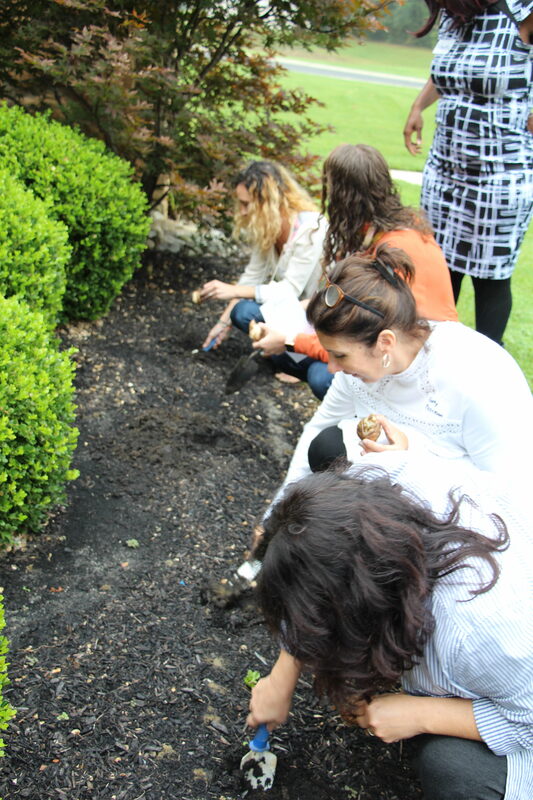 Here is the group during introductions. . .
. . . and planting bulbs to show Relationship with Creation! We are delighted to partner with Fellowship Alliance Chapel. They are a diverse group in terms of ethnicity and age. We look forward to the Crossing Over Ceremony when we will witness great transformation and necklace the first FAC class of Woman! 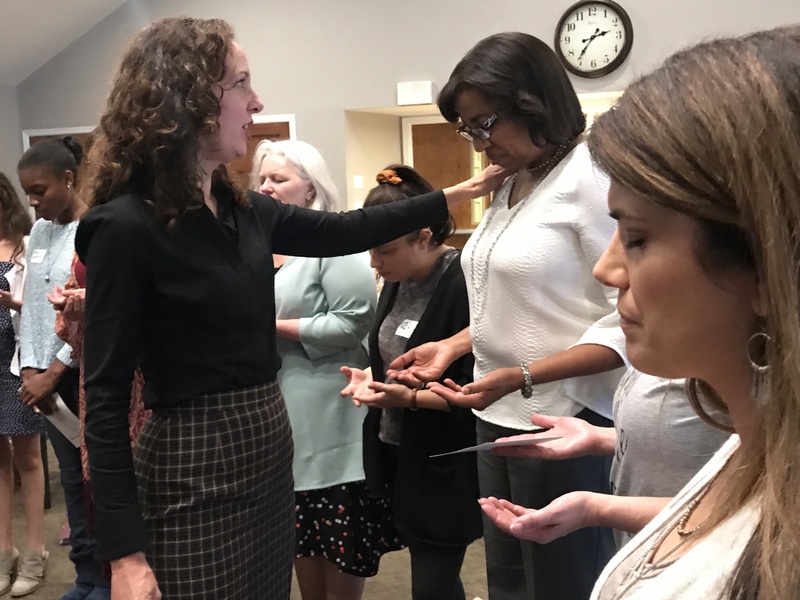 If you are interested in starting a Woman Chapter in your church or ministry, please peruse the information about this rite of passage, check out this year’s website, and contact me at amy.davis@nyack.edu.